It is important to remember that just because you have been a notary in one state does not mean that you can carry it over to another. In fact, every state has slightly different requirements and guidelines for the notary process, duties and tools such as the stamps and seals. It is the individual’s responsibility to review the state’s website and take part in classes in order to understand what they are committing to once they have been commissioned. Notaries in Georgia can use either a notary public stamp or notary seal embosser as long as they are photographically reproducible so that this image can be seen when the document is photocopied or faxed. It is helpful for the user that there are no size and shape requirements so that they can order a round or rectangular format based on their preference. The image itself is relatively simple with the only required wording being the name of the notary which matches what is on their certificate, “Notary Public”, “Georgia” or “GA” and the name of the commissioning county. 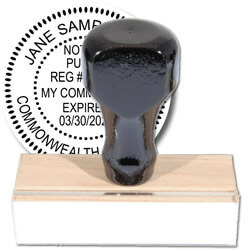 A unique feature for this state is that the notary’s expiration date is NOT required but can be included since this is on the general formats. Being commissioned as a notary in the state of Georgia gives an individual the authority to mark and action applicable paperwork. Notary Records books should be included as part of your notary supply order because you will need to document every transaction that you perform especially in the event that you are audited by the governing agency. These record books have all the necessary columns so that you know exactly what to write down and to ask for when stamping/embossing the documentation. Georgia has very simple guidelines regarding the ink stamp and embosser seal which makes it that much easier to order these items through a reputable online vendor. Again, the majority of manufacturers have already done their due diligence and gathered the requirement information from the different states. However, it is still up to the individual to verify that what they are getting matches the most recent state-appointed format. 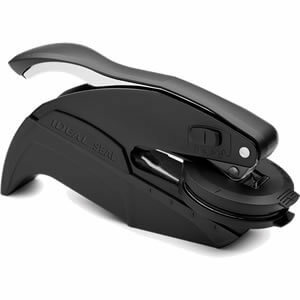 When you get ready to buy the notary seal embosser or ink stamp for this position, it is important to review the different formatting options that the manufacturer offers so that you can select what works best for you. As stated above, working with a reputable vendor can help to guarantee quality of the product and materials so that these tools will work correctly for a long period of time. To this end, asking for a proof image to review before it goes to production is a valuable step. Users choose to become a georgia notary as part of their job description or because they want to have a part in local legislature. Be sure that the impression you leave conveys the respect and professionalism that you have for the job.